Feb. 11 (UPI) — As Greenland’s glaciers continue to melt at an accelerated pace, meltwater rivers are depositing more and more sediment along the island’s coast. If the trend continues, as most climate scientists predict, Greenland could stand to profit from warming temperatures by selling its excess sand. “Eight percent of the annual sediment contribution delivered to the global oceans comes from the Greenland Ice Sheet and with continued global warming, this number is expected to increase,” Mette Bendixen, a researcher at the University of Colorado, Boulder’s Institute of Arctic and Alpine Research, said in a news release. Like Greenland’s glaciers, the island’s economy — mostly based around commercial fishing — is increasingly vulnerable. Selling excess sand could provide local communities an economic lifeline, according to a new study published in the journal Nature Sustainability. Despite efforts to diversify its economy, including forays into mining, oil extraction and tourism, unemployment remains high and many of its local governments are cash-strapped. Meanwhile, the planet’s sand reserves are shrinking as urban development booms and major infrastructure projects break ground across Asia, Africa and South America. 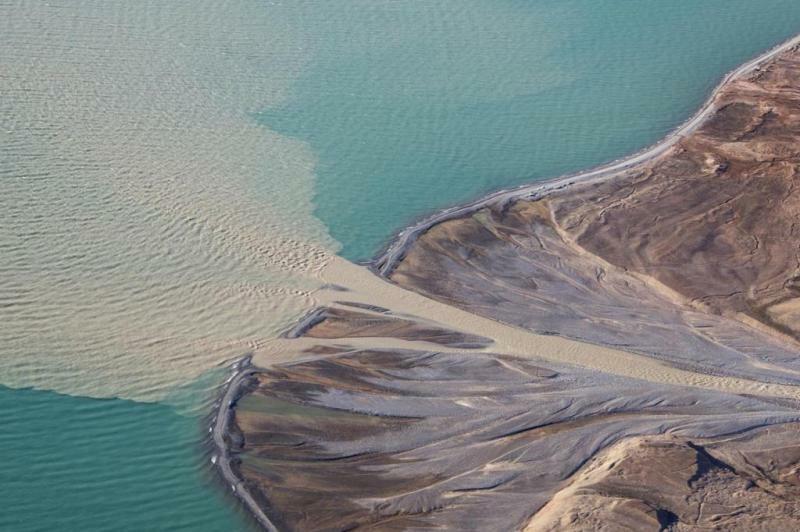 Scientists analyzed sand deposits along the Greenland coast to estimate how much the island nation might stand to profit should they enter the sediment market. Researchers predict annual sand deposits delivered by melting glaciers could be worth nearly half the island’s annual GDP, which was $ 2.2 billion in 2015. Sand prices are expected to double over the next quarter-century. “With this work, we present a rare example of economic opportunity brought to life by climate change,” said Irina Overeem, a CU Boulder associate professor and research fellow at INSTAAR. Of course, natural resource extraction efforts can damage local ecosystems. Researchers advise comprehensive environmental impact assessments be conducted before any sand extraction efforts get underway.